Many employers are exploring innovative strategies designed to rein in unsustainable healthcare costs while improving the employee experience. An emerging alternative to high-deductible plans is healthcare advocacy, which is designed to help individuals and families navigate and optimize their use of healthcare. Eurey and his colleague, Accolade Chief Actuary Carolyn Young, recently spoke on a CFO.com webcast about the many ways personalized advocacy can improve health and financial outcomes. 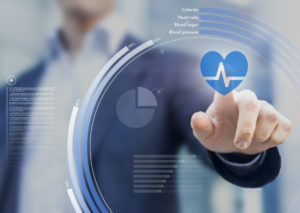 A poll of webcast attendees confirmed that new approaches to managing healthcare costs and quality are key concerns for most organizations, with 79 percent strongly agreeing or agreeing. The impact of personalized advocacy on employer costs —how much can be saved and where cost savings occur across the employee population. How personalized advocacy affects employer medical and prescription claims costs over time. Why a whole-population, whole-person approach to employee healthcare is critical to controlling costs and bending the medical cost trend. How employers can avoid placing more cost burdens on employees and improve their healthcare experience.